Bill Chadwick began his service as pastor of Oak Grove in June of 2009. He is a native of Bloomington and, in fact, grew up in Oak Grove Church! 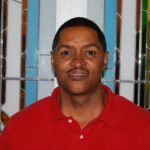 Bill graduated from Kennedy High School, attended St. Olaf College and is a graduate of the University of Minnesota and San Francisco Theological Seminary. He has pastored churches across Minnesota and also served as a chaplain with Presbyterian Homes for seven years. Bill’s primary Oak Grove responsibilities are People, Prayer and Proclamation. He enjoys fishing, canoeing, biking, X-C skiing, hiking, conversation, ventriloquism, playing board games and sitting in front of the fire with a good novel. He and his spouse, Kris Jacobson, have three semi-adult children and live in Minnetonka. Mary Koon is a 2011 graduate of Chicago Theological Seminary. Mary, her husband Jim, and family moved to the Twin Cities six years ago from Chicago, IL. In 2011, Mary was hired as director of Faith Formation for children and adults. In 2014, she received a call from Oak Grove to serve as Associate Pastor and was installed in November of 2014. Mary continues to work with children and families, Adult Faith Formation, Deacons, and worship leadership. She enjoys making space for people of all ages to learn, grow and serve together. Mary and her husband, Jim, are the parents of four grown children, and one daughter-in-law. They are smitten grandparents to two grandchildren. When she isn’t at church, Mary enjoys walking, reading, and being with her family. Beth Angerhofer came with Oak Grove with over 20 years managing Customer Service departments (for Pillsbury and U of MN Physicians) both domestically and internationally. She has extensive experience working with data and loves interacting with the entire Oak Grove community. Beth earned here Master’s Degree in Foods in Business from Kansas State University and her undergraduate degree at Auburn University. Her family includes husband, Paul; and her grown daughter, Annie. Beth has been a Bloomington resident for over 30 years, and is an active member at nearby St. Luke’s Lutheran Church. 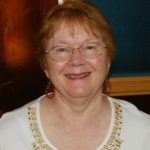 Judy Cooper received music education degrees from both Augsburg College (BA) and the University of St. Thomas (MA in Music Education). She taught music in the Bloomington School system for 34 years, at many different schools and grades. In 1985 Judy began directing the Chancel choir at Oak Grove and LOVED it! After retiring from teaching in 2005, she has enjoyed having more time to devote to the music program here at Oak Grove. A parish associate is an ordained clergyperson who is either working in a non-church position or is retired, but wishes to be related to a particular congregation. We are so blessed to have the following folks serving as Parish Associates with Oak Grove. The Reverend Denise Dunbar-Perkins is recently retired from Abbott-Northwestern Hospital in Minneapolis where she served as a Board Certified Staff Chaplain in both the Oncology and Cardiovascular units, and an adjunct teacher in the Clinical Pastoral Education Program. A graduate of United Theological Seminary of the Twin Cities, she is one of the original founding members of Kwanzaa Community Church PC (USA) (now Liberty Presbyterian) in North Minneapolis, the only African American Presbyterian Church in Minnesota. In the last twenty three years within the church, she has served locally, nationally and internationally as a speaker, teacher, preacher, workshop leader, curriculum writer and worship leader and has been a member of several presbytery and synod committees. Denise is a past Moderator of the Presbytery of the Twin Cities Area and has previously served as the Co-chair of the Committee for Preparation for Ministry and the Chair of the Presbytery Leadership Team and is currently serving on the Called Positions Sub-Committee of Committee on Ministry. Along with being a Parish Associate at Oak Grove, she serves in the same capacity at Westminster Presbyterian Church as well. Denise grew up on the south side of Chicago, the youngest of five siblings and now resides in St. Paul suburb of Inver Grove Heights. Denise is proud mother to Kuro Yuki her four year old Shih Tzu, along with four lovely granddaughters. In her newly retired status, she occasionally works as an itinerate preacher, along with “lunching”, seeing plays and traveling with her wonderful friends. Deb DeMeester joins our staff as a Parish Associate. She currently works full-time for the University of St. Thomas in downtown Minneapolis as a Clinical Faculty Member. Her responsibilities involve overseeing the graduate programs in Public Safety and Law Enforcement Leadership. A love of research led to engagement with local police departments and a discovery of a love and passion for working with those in police leadership. Deb also teaches doctoral classes in leadership and ethics as well as research for St. Thomas where she received her Ed.D. in 2003. 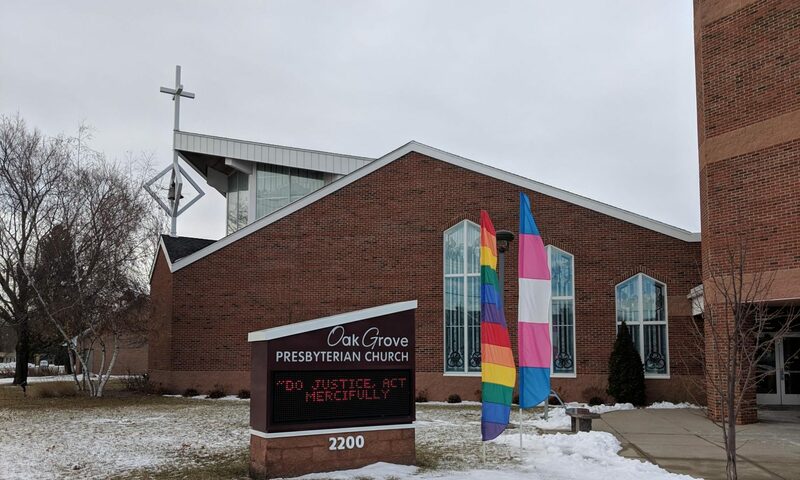 A graduate of Yale Divinity School, Oak Grove was her first call to the ordained ministry and she served here from 1985-1995 as an Associate Pastor. She then specialized in interim ministry and has served six congregations in that capacity as well as spending six years as Associate Executive for Leadership Development for our Presbytery during the intervening years. Deb continues to consult with congregations who are going through a discernment process as well as to facilitate leadership groups. In their free time, Deb and her husband, Paul Schalekamp, enjoy spending time at their cabin, playing cards, reading, traveling, painting (Deb), learning about WW2 (Paul) and are delighted to be back at Oak Grove! Bruce Ervin is an ordained PCUSA minister and a licensed marriage and family therapist (LMFT). Since 2006 Bruce has been serving clients in a private counseling practice in Edina, along with his wife, Lisa, who is also an LMFT. Bruce graduated from Edina East High School in 1977, St. John’s University (Collegeville, MN), with a B.S. in Business Administration, in 1981, Princeton Theological Seminary, with an M.Div., in 1985, and Fuller Theological Seminary, with an M.A. in Marital and Family Therapy, in 1991. He also completed 5 full-time units of Clinical Pastoral Education (CPE) in Southern California in 1998 and a two-year certificate program in Contemporary Psychoanalytic Psychotherapy from the Minnesota Institute for Contemporary Psychotherapy and Psychoanalysis in 2010. Since beginning his professional life with ordination in 1985, he has served in a variety of settings as a pastor, administrator, chaplain and therapist, including a church, a seminary, medical-surgical and psychiatric/chemical dependency hospitals, a senior adult housing community, counseling clinics and private counseling practice. Bruce has been married to Lisa, a native of Southern California, since 2001. They have a beloved daughter, Hannah, and several much-loved pets including a cockapoo, a cat, and a Beta fish. Bruce, Lisa and Hannah have been part of the Oak Grove Presbyterian Church community since November 2012 and have greatly appreciated the warm welcome they have received here. Umo Udo, MA, MDiv, CPCC, has a full-time job as the Director of Spiritual Care for Catholic Charities of St. Paul and Minneapolis. Umo got her Master of Arts degree in Youth and Family Ministry from Luther Seminary in 1995. She went on to get her Master of Divinity degree in Theological Studies at the United Theological Seminary of the Twin Cities in 2003. She attended the Coaches Training Institute to become a CPCC Life Coach 2005-06, and got a CDC from Dream Coach University in 2011. Janet Shannon graduated from Houghton College in New York State with a B.A. in history and secondary education and then entered Princeton Seminary in New Jersey to receive the Master of Christian education degree. After working five years as Director of Christian education in churches in Ohio and Indiana, she returned to seminary to receive her Master of Divinity degree from Princeton. Janet served as an interim pastor in three churches in the Virginia Beach area then moved to Wilkes-Barre, Pennsylvania where she was a co-pastor with husband Jim Shannon. Since moving to Minnesota she has served twenty years as a chaplain, first at North Ridge Care Center and then at Presbyterian Homes. In 2007, Janet returned to the parish and served as an interim pastor in yoked congregations in Oronoco and Zumbrota Minnesota, as well as in two United Churches of Christ in the Twin Cities area. She retired December 31, 2011 and is happy to be associated again with Oak Grove Presbyterian Church. Janet, who also goes by Jan, likes to write, read, bird watch, swim, travel, and visit her grandchildren in Arizona. She has a special interest in exploring how landscapes shape one’s spiritual identity. We are delighted to officially welcome Mary Pol back to our staff as a Parish Associate. She served in this capacity for several years before being called back to active duty as the interim pastor in the Hope Community Presbyterian Church in Virginia, MN. Her service ended there in May. Mary is the mother of Jennifer Myers and grandmother of Natalie and Catherine.